Amarylis: This is the real face of Jesus. 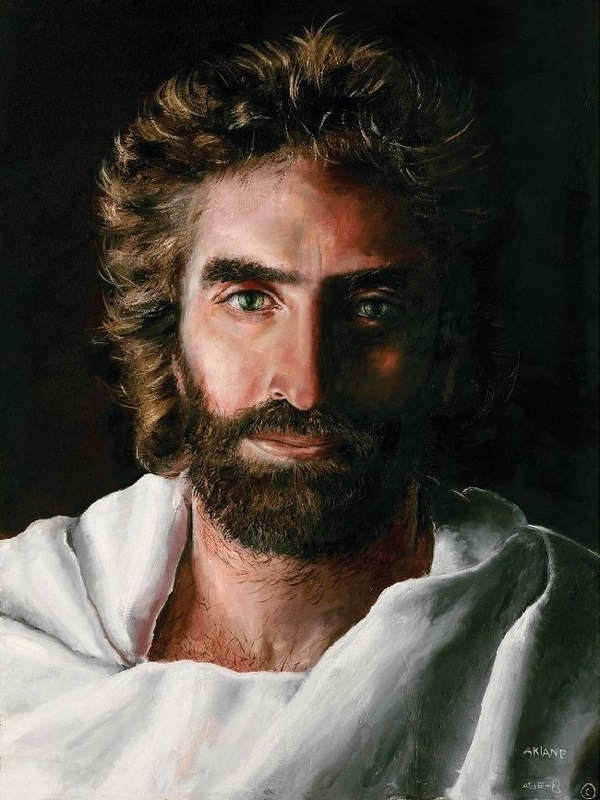 The artist Akiane when she was 8 years old paint this photo of Jesus when she saw personally Jesus. He asked me to look to his real photo, the picture of painted by Akiane. The Lord asked me to look at him closely, well as usual, he is not boring and likes drama, while looking to his picture, he made slight change what he look in this picture. He changed for me several times : subtle smile, then serious face, then like a military, then approachable face, then a face with authority. I believe that is his character what he is showing to me in this photo. The Lord Jesus is not always smiling or all the time kind but he has temper too. What I mean he got emotion too. Although he is not emotional but he is capable of getting angry. Well that is what I know him intimately. He has authority because I felt that when I look to him and I can’t manipulate. He is capable of being so silent and not talk and I felt he is no longer there, gone but actually he is just listening to my heart. He is so kind and over generous, that is what I know him also. From my point of view, he dislike when we disobey him, when we are not in line with him. My intimacy with him, is growing and growing over the time, and it never been deminish because he looks after it, very responsible and reliable because he is truth amd faithful. But I have the responsibility to response to him in truth and loyalty also. It’s a relationship of give and take but most of all he is more and more the giver and I am the receiver. He Is The Lord Jesus of Nazareth. He is always the same yesterday , today and tomorrow. I believe in him and he as a person. He is God. When i came to him know in intimacy level, I came to know God in intimacy level. I heard God before, I pray to him If i remember him. I don’t know Jesus before, I heard him as the son of Joseph the carpenter. That is why I don’t have intimacy with God because i don’t know Jesus. I know now why we don’t know God after all and don’t have a relationship with him because what is lacking is the knowledge of the real Jesus. In the Bible say, you know my son , then you know me. Those who believe my son , they shall be saved. Those who reject my son, I reject them. Why he can say that? In the beginning is the Word, the Word was with him, the Word is God. The reality the Word is Jesus. The Grace is Jesus. Then if we reject Jesus, then we don’t have the Word, then we don’t have Grace. And we need grace because grace means unmerited Favor. To live in this kind of world we need Favor from God to live wholeness. If you got the Bible, open John. Then you know the Word is Spirit and Life.